Last year, more than 450,000 books were self-published. Imagine a reader standing in front of a bookshelf with that many titles. Now imagine the impossible: how will they choose one title over another? 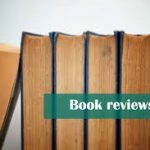 As former books editor of the Rocky Mountain News and co-founder of BlueInk Review, a review service for self-published authors, I am obviously a huge proponent of book reviews. Without a review, your book is more risky to buyers than your average blind date—because, let’s face it, a date for coffee may take an hour, but reading a 400-page book could take days or even weeks! Buyers might know the topic of your book – but how can they be certain it’s worth the investment of both their time and money? They crave guidance. In a world where consumers have come to expect reviews on everything from the newest TV or the restaurant around the corner, authors ignore the importance of book reviews at their own risk. 1. Book reviews let readers know the book’s contents. While readers can learn the plot or focus of a book on the back jacket, a book review is more specific and detailed. It describes the plot, texture and tone of the book. It will often explain who the book is most likely to appeal to. And it will tell readers what works best in the book and what might be lacking. All of this helps readers learn if it’s their cup of tea. 2. By giving third-party validation to a book, reviews bestow credibility. We’ve heard many an author insist that everyone who read their book loved it. But when asked “who is everyone?” the answer is most often “family and friends.” And family and friends are notorious for not wanting to hurt their loved one’s feelings. Meanwhile, what author doesn’t rave about his or her own work? Readers need recommendations from unbiased sources. Reviews written by someone outside of your daily sphere are the most trustworthy way readers can discover new work. The more positive reviews, the more credibility a title gains. 3. Reviews provide excellent fodder for an author’s marketing materials and book jacket copy. Laudatory excerpts are absolutely necessary for an author’s promotional materials. They are invaluable for use on press releases, ads, author websites, social media and other marketing opportunities and will catch readers’ attention far more than a simple plot description or summary. 4. Even when a review is negative, it can entice readers. We all know one man’s trash is another man’s treasure. The same is true of books. When a reviewer describes the reasons they didn’t appreciate a specific book, those are often the exact qualities some readers look for in their reading material. Those who don’t place priority on the flaws mentioned may find themselves interested in the title. Has my book been professionally copyedited? Books filled with grammar, spelling and punctuation errors are difficult, if not impossible, to read. No wonder bad mechanics is the number one reason self-published titles receive negative reviews. Have I received positive feedback from anyone other than family and friends? As noted above, family and friends are reluctant to be honest about a book written by a loved one. More than one relationship has been sacrificed when a friend dared tell the truth. Manuscripts without issues of any kind are rare. If you are receiving ONLY positive feedback, it’s usually because people aren’t being honest with you. Am I open to using the review to improve my work? While a book review is not a detailed critique of the sort a professional editor might offer, it often pinpoints problem areas and can be helpful for revisions down the road or to improve future work. The more open you are to such input, the more likely the review is to benefit you, whether it’s positive or negative. If you have answered yes to these questions, it may be time to start thinking of getting your book reviewed. You can query local publications (aim small, as most mainstream publications don’t accept self-published books for review, whereas local markets are eager to promote those in their community), bloggers who especially enjoy your genre, or publications directed at the specific niche your book serves. You can also contract with fee-based review services, such as our company. Unlike the other options, these aren’t free, but they can save authors endless time and frustration, as with the options mentioned above, self-published titles compete for review space with the flood of titles released by traditional publishers. They nearly always come out on the losing end of that battle. Whatever route you choose, remember that writing is a craft; the more you work at it, the more you’ll improve. If you use the criticism offered in a review to take your work to the next level, you will be miles ahead of the pack. Patti Thorn was books editor at the Rocky Mountain News for 12 years before the newspaper closed in 2009. She is co-founder of BlueInk Review, a fee-based review service devoted to offering honest, serious appraisals of self-published titles. Call me crazy, I’m just a proud parent. My book could be classified as nonfiction/memoir/poetry/history. It sprawls across categories. Kirkus gave it a big loving kiss. It is perfectly suited for inclusion in a high-school reading curriculum. Because one page contained two ‘naughty words’ I prepared a second edition by Xlibris with this page removed so that school purchasers would not be scandalized. It’s been publicly praised by two prominent Texas art/literature figures. I’m cramming all this info in because the lack of some of it might restrict sales, specifically to schools. Hi Skip: Thank you for the question. We are happy to explain how BlueInk Review promotes our reviews to help readers get attention for their books. Reviews are syndicated to Ingram for inclusion in their databases used by over 70,000 bookstores and libraries. They are also syndicated to the Children’s Literature Comprehensive Database (CLCD) (if they are children’s titles). A monthly column of our ten best reviews from previous weeks runs in Booklist magazine, which is used by more than 60,000 librarians to make decisions on which books to purchase. In addition, we list our reviews on idreambooks, which is a review aggregator (much the same as Rotten Tomatoes is for movies). 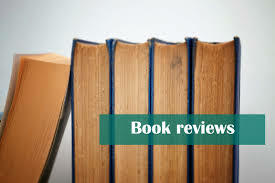 We also promote reviews through a monthly newsletter that goes to readers as well as agents, editors and librarians, and on various social media outlets–among other things. Unlike Kirkus, BlueInk Review is dedicated exclusively to independently published books. Our email lists are all comprised of those who have opted in and are expressly interested in self-published titles. Our reviews include links to social media, to the book’s page on Amazon, Barnes & Noble and Indiebound. We also link to the author’s website so it is very easy to share and promote your review. Good info. What does Blue Ink do beyond the review to help promote books to the industry. For example, my books are listed with Ingram. How can Blue Ink help? What makes you a better choice than others such as Kirkus. I’m open to a review but not a rich man.